Move spots of yellow, cyan, and magenta pigment on a white surface. As the colors overlap, other colors can be seen due to color subtraction. The color of most things you see--such as cars, leaves, paintings, houses, and clothes--are due to color subtraction. 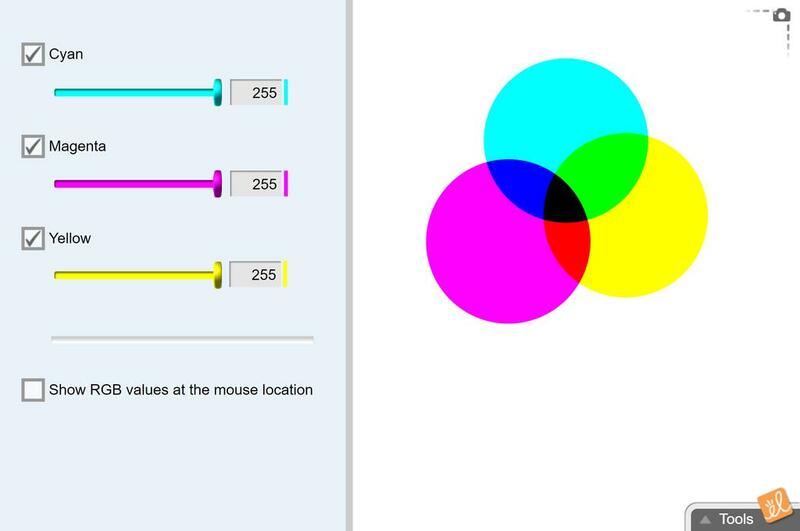 The intensity of the cyan, magenta, and yellow can be adjusted, and the RGB value at any location can be measured. I created this for my grade 10 applied class. They will have already worked through the additive colour ... (more)Gizmo before they tackle this one.